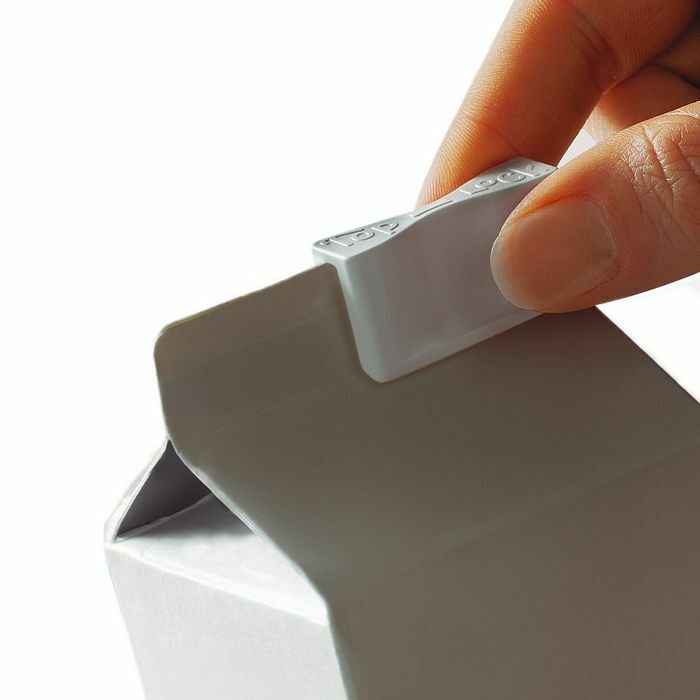 When mounted on a milk carton, TopLock protects the content from absorbing taste from other food articles in the refrigerator and the content will stay fresh for several days. TopLock is also the solution when you have open milk cartons etc. in your car, caravan or on a boat, as TopLock keeps the cartons tight during transport. Furthermore, since the TopLock prevents the spilling of milk if the carton tips over, it is ideal for families with small children. 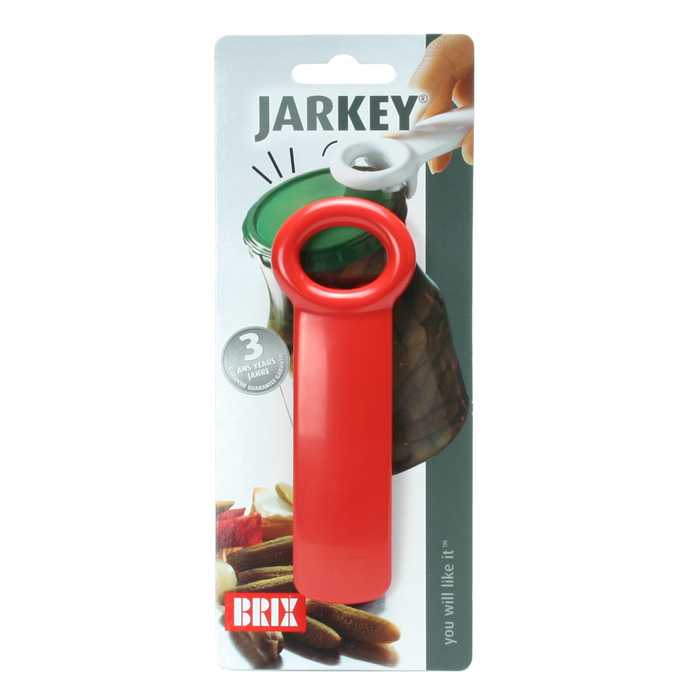 By the use of TopLock for closing coffee bags etc. the aroma is kept for an extended period of time. 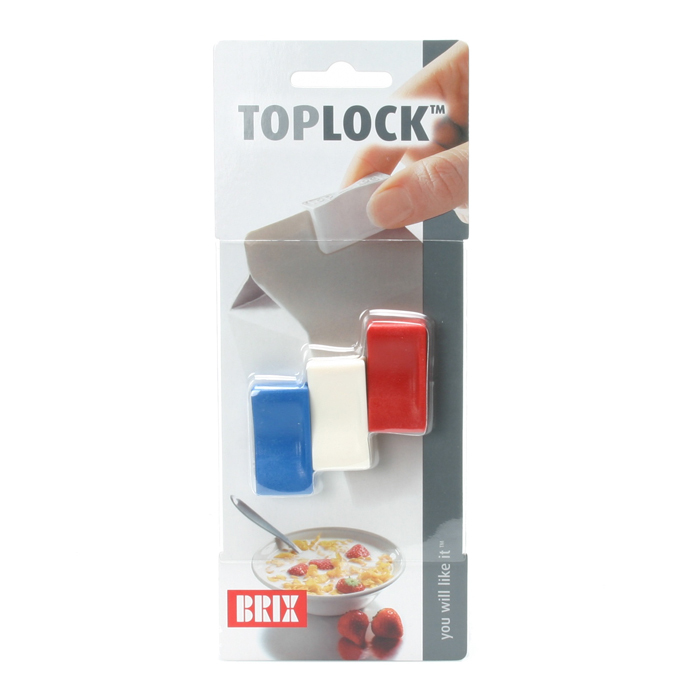 TopLock is also ideal for the closure of bags of chips in order to keep the crispness.